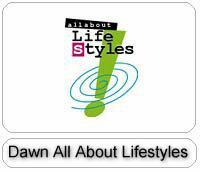 All About Lifestyles - This brand to consumer marketing event is held twice a year, in the summer and in the winter. A real blockbuster of an event. More than 10,000 Gift Hampers including Mobile Airtime, T-Shirts, Caps and much much more has been distributed by answering simple quiz and playing exciting games and competitions.